The biochemical reactions in your body by PLP-dependent enzymes include the making of hemoglobin, amino acid synthesis and fatty acid metabolism. Neurotransmitters: Vitamin B6 is a cofactor in the synthesis of neurotransmitters dopamine, epinephrine, GABA, norepinephrine, and serotonin. Affecting alertness, cognition, memory and mood. Mood: Vitamin B6 helps increase brain serotonin and dopamine levels. Decreasing anxiety, depression, fatigue and pain. How does Vitamin B6 (Pyridoxine) work in the Brain? How does Vitamin B6 (Pyridoxine) feel? Vitamin B6 (Pyridoxine, Pyridoxal, Pyridoxamine) is one of 8 water-soluble B-vitamins that are absolutely vital to the highly optimized brain. And is essential to all forms of life. Vitamin B6 is found in every cell in your body and brain. Vitamin B6 is a necessary cofactor in the folate cycle. And contributes to the synthesis of neurotransmitters dopamine, GABA, melatonin, norepinephrine, and serotonin. Vitamin B6 has a direct effect on your immune system, gene transcription and expression. And is involved in glucose regulation. Vitamin B6 protects your blood-brain barrier by regulating homocysteine levels. Excess homocysteine can damage blood vessel linings and neurons, resulting in cognitive decline. B6 also helps form myelin, the fatty sheath that surrounds and protects neurons. Pyridoxal phosphate (pyridoxal 5′-phosphate, P-5-P, PLP), the active form of Vitamin B6 helps control inflammation in your brain. Low levels of PLP are associated with severe inflammation in the brain. [iv] Leading to neurodegenerative diseases like Alzheimer’s and Parkinson’s. And contributes to heart disease, arthritis, inflammatory bowel disease and diabetes. Foods rich in Vitamin B6 include bananas, beef, chickpeas, pistachios, pork, potatoes, and turkey. Even mild Vitamin B6 deficiency can deplete neurotransmitters which leads to cognitive decline. Resulting in brain fog, anxiety, depression and overall poor mental performance. Vitamin B6 (Pyridoxine) boosts brain health and function in several ways. But two in particular stand out. Vitamin B6 is a cofactor in neurotransmitter synthesis. Vitamin B6 and its role in amino acid metabolism makes it a critical component for the synthesis of all major neurotransmitters including dopamine, GABA, melatonin, norepinephrine and serotonin. 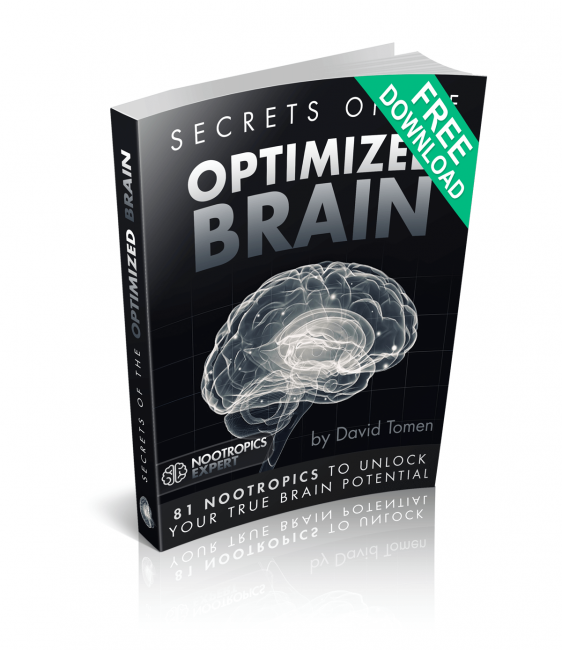 The synthesis of these neurotransmitters is entirely dependent on B6 levels in your brain. Even mild deficiency results in less GABA and serotonin synthesis. Resulting in poor sleep patterns, irritability, anxiety, depression, panic attacks and stress. Low dopamine and norepinephrine levels due to lack of Vitamin B6 leads to depression and loss of memory. 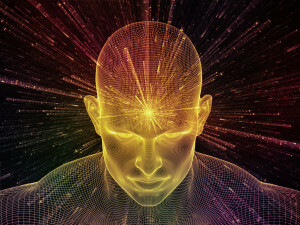 B-Vitamins play a crucial role in optimized cognition. 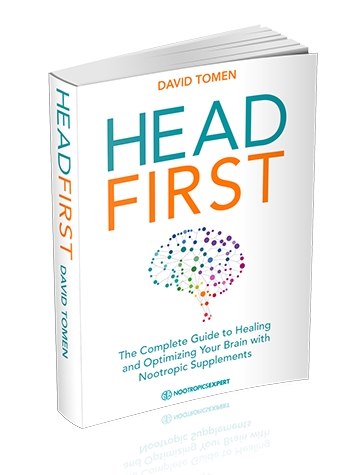 And should be part of every nootropic stack. Unfortunately, there is very little talk in nootropic circles of these vitamins. A review of vitamin intakes in Germany, the UK, the Netherlands and the USA was conducted to compare vitamin intake to national recommendations. And the study found intake was below recommendations of even the most critical of vitamins. Including B-Vitamins. Vitamin B6 helps reduce inflammation. B6 along with Vitamin B12 and folate help control homocysteine. High levels of homocysteine have been implicated in inflammation leading to damage of blood vessels. Causing heart and neurodegenerative disease. But homocysteine is not the bad guy when it’s in balance. 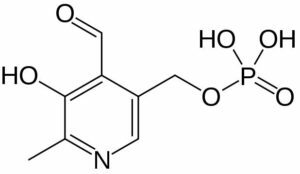 We need this amino acid for the synthesis of cysteine which is a precursor to the master antioxidant glutathione. It’s when homocysteine gets out of control that causes problems in our brain and our cardiovascular system. One of the issues with aging is brain shrinkage. Gray matter shrinkage in key areas of the brain have been identified in Alzheimer’s Disease. Professor David Smith at Oxford University in England conducted a study with 156 elderly patients (age 70+) who were suffering mild memory loss and higher than average levels of homocysteine. High levels of homocysteine are typically the result of deficiencies in Vitamins B6, B12 and folic acid. For 2 years, the elderly patients received 20 mg of Vitamin B6, 0.5 mg of Vitamin B12 and 0.8 mg of folic acid (folate). The findings of this study were dramatic. Those who took only placebo experienced brain atrophy of 5.6% over those 2 years. Brain shrinkage in those who took the B-Vitamins had only 0.6% brain shrinkage. Vitamin B6 deficiency is a lot more common than you’d expect in our modern society. B6 from diet alone, especially for vegetarians and the aged is not adequate to supply what our body and brain needs. Vitamin B6 is critical for nerve function. And a deficiency can result in psychiatric disorders, seizures, migraines, chronic pain and mood disorders like depression. When you add Phenylalanine to your stack to boost the neurotransmitters dopamine, epinephrine, norepinephrine and melatonin, it will not work without Vitamin B6. B6 is a critical cofactor in the synthesis of these neurotransmitters. The same holds true for any nootropic you use with the intention of boosting any of the major neurotransmitters in your brain. Vitamin B6 is absolutely required if you want them to do their job. Vitamin B6 is essential for controlling elevated homocysteine levels which can damage blood vessels crucial for optimal cerebral circulation. Vitamin B6 is a coenzyme involved in the synthesis of Heme, an iron-containing component of hemoglobin. Hemoglobin is found in red blood cells and is critical to their ability to transport oxygen throughout your body and brain. Vitamin B6 is water-soluble, and has been shown to improve energy and mood. Both men and women report a boost in libido when supplementing with B6. Women report that Vitamin B6 helps control mood swings resulting from PMS. Neurohackers report that Vitamin B6 helps sleep and creates vivid dreams. Many prefer it over melatonin for sleep. Those suffering with carpal tunnel syndrome have consistently found relief in symptoms by using Vitamin B6. Many find B6 useful for tendonitis and other joint pain. Some report that supplementing with Vitamin B6 helps prevent sunburn. And a few have found relief from tinnitus by using B6. Those dealing with ADHD have found that using Vitamin B6 has helped reduce the reliance on ADHD meds. Likely because B6 is a cofactor in the synthesis of dopamine and norepinephrine. Read the reviews of those supplementing with Vitamin B6 and you’ll come across several reports of improved sleep and vivid dreams. And we have science to back this up. 12 college students participated in a double-blind, placebo-controlled trial to examine the various claims that Vitamin B6 increase dream vividness, and the ability to recall dreams. The students were given 100 or 250 mg of Vitamin B6 or a placebo prior to bedtime for 5 consecutive days. Morning reports indicated a significant difference in ‘dream-salience scores’. This is a composite score measuring dream vividness, bizarreness, emotionality and color. A study out of the Netherlands suggests that Vitamin B6 could cut the risk of Parkinson’s Disease in half. 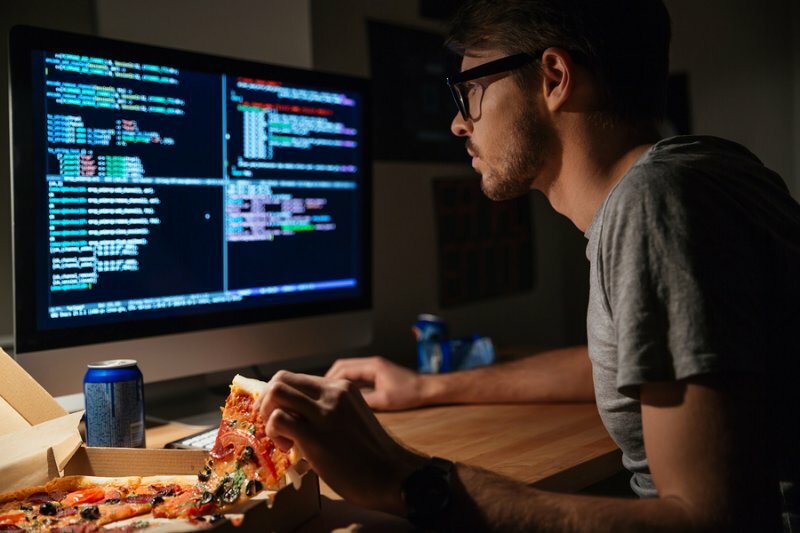 Researchers in Rotterdam recruited 5,289 people over the age of 55 and assessed their dietary intake using food questionnaires. This study looked into reports that increased levels of the amino acid homocysteine might promote Parkinson’s Disease. Numerous studies have reported that higher intakes of folate, Vitamin B12 and Vitamin B6 decrease blood homocysteine levels and could offer protection from Parkinson’s. It has also been proposed that Vitamin B6 could provide antioxidant effects. And could reduce the risk factor for Parkinson’s by a mechanism that is not related to homocysteine. After 9.7 years of follow-up, 72 new cases of Parkinson’s Disease had been diagnosed. The average Vitamin B6 intake was 1.63 mg per day, average B12 intake was 5.3 mcg per day, and average folate intake was 218.7 mcg per day. No significant reductions in the risk of Parkinson’s were found for folate or Vitamin B12. But when the researchers limited their calculations to the 66% of participants who were smokers, they found that the protective effects of high Vitamin B6 intake appeared limited to this group. The researchers noted that several studies indicate the protective effects of nicotine on brain cells, and reduced the risk of Parkinson’s. Which suggests that Vitamin B6 plus nicotine provides mutually reinforcing beneficial effects. 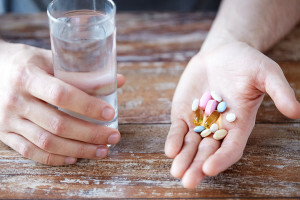 Since folate and Vitamin B12 showed no relationship to reduced Parkinson’s, the researchers concluded it was not homocysteine that was behind the newly diagnosed patients. The study authors said that the apparent benefits of B6, “may point towards an alternative mechanism… because several lines of evidence suggest neuroprotective properties of Vitamin B6 through antioxidant capacities”. Reduced serotonin levels are known as one of the causes of panic attacks and hyperventilation attacks. 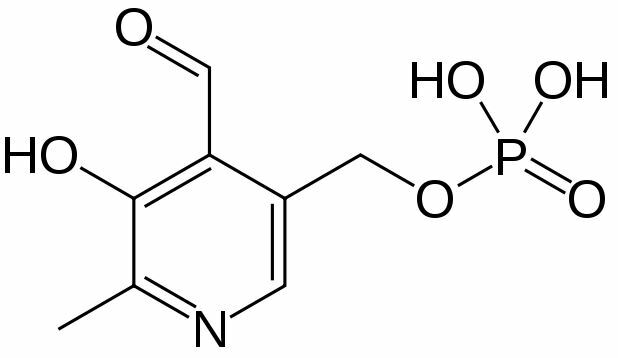 Serotonin is synthesized from tryptophan. And for the synthesis of serotonin, you need Vitamin B6 and iron. The clarify how this works, researchers at Atago Hospital in Japan checked the blood levels (vitamins B2, B6, and B12 and iron) of patients who came into the ER with a panic attack or hyperventilation attack. The team measured parameters in 21 patients compared to 20 healthy volunteers. The study found that both Vitamin B6 and iron levels were significantly lower in the panic and hyperventilation attack people than in the healthy volunteers. Recommended dosage of pyridoxal 5′-phosphate (P-5-P) form of Vitamin B6 is up to 100 mg per day. P-5-P is the only ‘active’ form of B6 available and preferred for nootropic usage. (see “Side Effects” for toxicity with Vitamin B6). An analysis of data collected in the USA in 2003-2004 indicated that Vitamin B6 intake from food averaged about 1.9 mg per day. [xiv] The problem is some forms of Vitamin B6 from plants (pyridoxine glucoside) are not very bioavailable. 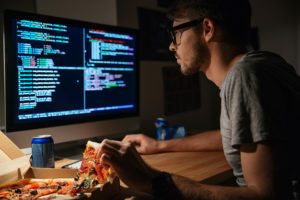 In most cases, and certainly that of neurohackers using nootropics to boost neurotransmitters or improve mood, Vitamin B6 from diet alone is not enough. The study mentioned above shows that even those supplementing with 2 mg per day of Vitamin B6 or less had blood levels of B6 much too low. Vitamin B6 is water-soluble and you excrete it in urine, so supplementation daily is critical. Women taking birth control pills, or who are menstruating are usually low in Vitamin B6. Those following a strict vegetarian diet are also typically deficient in B6. Drugs like L-DOPA, anti-tuberculosis medications, metal chelators, methylxanthines to treat respiratory conditions, and long-term use of NSAIDs, anti-convulsants, and phenobarbital all inhibit Vitamin B6 metabolism. If you are using any of these drugs you are likely low in B6. You can safely dose up to 100 mg per day of Vitamin B6 with no toxic effects. Vitamin B6 (Pyridoxine) is non-toxic at recommended doses. So is considered well-tolerated and safe. Side effects are rare but very high single doses can include stomach upset, nausea or diarrhea. Pyridoxine neuropathy is a form of nerve damage caused by high doses of Vitamin B6 when taken for extended periods. Symptoms are loss of coordination, extreme skin sensitivity, bone pain, muscle weakness, and numbness. Vitamin B6 from food and supplements comes in the form of Pyridoxine, Pyridoxal, and Pyridoxamine. These forms of B6 are considered ‘inactive’, but are converted in your liver and intestines into the active form of Vitamin B6 called pyridoxal 5′-phosphate (P-5-P). For nootropic use, look for a P-5-P supplement or a B-Complex formula that uses P-5-P. Most multivitamins also include some form of Vitamin B6 in their formula. But many of these multis don’t contain enough for optimum health. And many have an inactive version of this nutrient. The Performance Lab® Whole-Food Multi offers a nature-identical form of Vitamin B6 and is now my favorite daily multivitamin/mineral supplement. I prefer the Performance Lab® multi because it’s more potent, it’s biologically active and I’ve found to be a far more effective multi compared to every other multivitamin supplement I’ve ever used. Performance Lab® uses their own priority BioGenesis® vitamins and minerals which are grown on probiotic, plant and yeast cultures in a state-of-the-art lab. We recommend using Vitamin B6 as a nootropic supplement. Your body does not make Vitamin B6 on its own. So to get its benefits you must get it from food, or take it as a supplement. Vitamin B6 is especially helpful for those suffering from low energy levels, anxiety, depression, and chronic pain. Experience shows Vitamin B6 helps stop and reverse the symptoms associated with high homocysteine levels. B6 in combination with folic acid and Vitamin B12 will lower high homocysteine implicated in heart disease and Alzheimer’s. 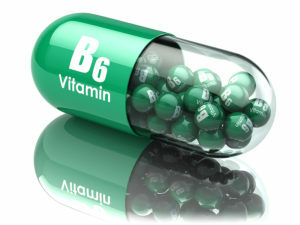 Vitamin B6 is also particularly helpful to students and executives who want to boost cognition, learning, memory and mood. Because it raises dopamine, GABA, norepinephrine, epinephrine and serotonin levels in your brain. Vitamin B6 can help those dealing with ADHD because it helps synthesize dopamine and serotonin in your brain. ADHD symptoms should decline and you may be able to cut back on your ADHD meds. Vitamin B6 is a must have addition for any nootropic stack. If you are using any nootropics to raise dopamine, GABA or serotonin levels, you absolutely need extra Vitamin B6. 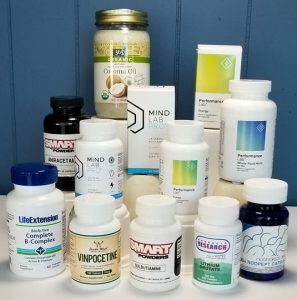 At the very minimum every neurohacker should be using a multivitamin every day that includes Vitamin B6. The best multi I’ve found and use every day is the Performance Lab® Whole-Food Multi for men or women. The title of this article is Vitamin B6 (Pyridoxine) – Yet it tells us to purchase P-5-P version, not Pyridoxine. It’s a little confusing. 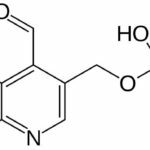 I bought Pyridoxine powder from a nootropics powder merchant. Is this the wrong form? The P-5-P pills are very expensive. By the way, love the article! It really made me realize how important this little known vitamin is to us. Thanks for the compliment Mary Lee. Much appreciated! Pyridoxine is not the “wrong” form of Vitamin B6. It’s just that it is inactive when taken as a supplement. Once digested, your body should convert it to the active form “pyridoxal 5′-phosphate (P-5-P)”. I just prefer taking shortcuts when I can. And use the most bioactive form of anything when I’m using a supplement as a nootropic. But it sometimes comes down to what your budget will allow. for all your great videos on YouTube ! Luke, I’m hypothyroid and am dealing with adrenal problems which affects skin color. And I use NALT or L-Tyrosine which also plays a role in the production of melanin. Making it easier for this body to tan. I live in SE Florida and spend at least an hour in the sun everyday as well. I do get my iron levels checked once every two months and they are normal. I do appreciate your concern. Thank you. Are there any issues that could prevent proper absorption of b6, such as genetic issues, or enzyme or co-enzyme deficiencies? I have tested deficient in b6, although I have a fairly balanced diet and have taken quality supplements. Seven years ago, I suddenly started having panic attacks, insomnia, hair loss and thread-like hair, tinnitus, loss of taste and smell, memory loss. All of this occurred in a three month period after a lengthy respiratory illness, possibly Epstein-Barre virus, of which I very high titer. Thank you for the informative videos and website! Liana, your sudden symptoms sounds a lot like what was happening to me before I was diagnosed hypothyroid. Not saying that’s what is going on with you but it’s worth checking. I would also get homocysteine levels checked. What form of Vitamin B6 were you using? The recommended form of B6 is pyridoxal 5′-phosphate (P-5-P) which does not require any kind of conversion before your body uses it. And please check the “side effects” section of this review on what happens if you dose the wrong kind of B6 and for too long. I know the UL of B6 is 100 mg per day in the US. But I saw a different data set by the European Union. They say the UL of B6 in adults is 25 mg per day. That’s such a big difference. Is 100 mg of B6 really safe? How much B6 should I actually dosage per day? Please watch Page 41, the table of tolerable upper intake level is in the bottom of this page. The page you are referencing uses some of the same clinical studies I consulted for this review. And the tolerable dose for Vitamin B6 is “up to” 100 mg per day. Toxicity was reported with people dosing 200 mg daily or more long-term. So 100 mg of Vitamin B6 daily is safe but most don’t need to use daily doses this high. Consistent use of 25 mg per day should keep your B6 levels optimized. can I get information on ,how PLP is involved in formation of dopamine,GABA,serotonin ,as a coenzyme?